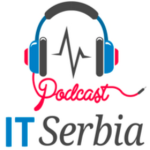 The ITSP team is preparing for a visit to the Agile Serbia Conference. The conference is to be held in MADLENIANUM Theater in Zemun, Belgrade on April, 23rd. We’re looking forward to listening to worldwide renowned Agile & Start-up experts. And we got the chance to interview the keynote speaker! Jurgen Appelo is a renowned speaker and really an expert on management and leadership. Make sure you follow him on Twitter or LinkedIn and check out his awesome YouTube channel – Happy Melly.